Established in 1951 as a joint initiative between Stanford University and the City of Palo Alto, Stanford Research Park (SRP) is an innovation center for world leaders in technology and life sciences. Designated one of the nation’s Best Workplaces for Commuters, the 700-acre business park’s “SRPGO” transportation program serves 150 companies in 10 million square feet and 140 buildings. Reduce single occupancy vehicle (SOV) trips, emissions and traffic congestion for campus in the heart of Silicon Valley – home to companies such as Nest, VMware, Jazz Pharmaceuticals, Varian and Merck. Improve access to public transit and Stanford University located two miles from SRP. SRP’s other services include carsharing, bicycling, trip planning, marketing outreach and commuter engagement programs. Hear Jamie’s overview in the webinar replay here. Learn about WeDriveU’s University Shuttle Solutions capabilities and book a free consultation. SRPGO is a compelling example of a multi-modal shared transportation system with real-time information on a large campus. Technology and strong partners play an important role in evolving SRPGO’s groundbreaking model for shared private shuttles. In a conversation with Julie Bond from Best Workplaces for Commuters, Jamie she highlighted SRP’s partnership with WeDriveU and Tripshot. 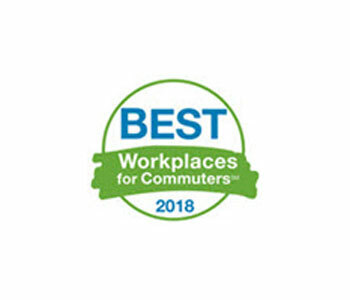 Webinar: “Moving Beyond Trip Planning: Technology Innovations for Your Campus or Workplace,” Best Workplaces for Commuters.